I am told that bidding for this hit $14,000 at one point. The question is why "The seller ended this listing early because the item is no longer available for sale". Here is a screenshot in case the link is down. 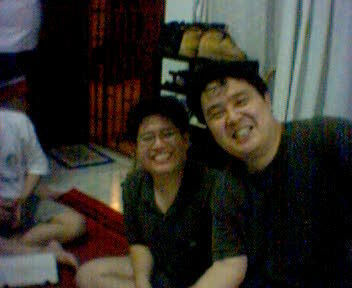 (Warning: Contains Spoilers) If you do not speak Singlish (Singapore English) or Hokkien, forget about reading this translation of the Architect scene in Matrix Reloaded. This was done by MysteryTanLines (who has a PhD in Hokkien... NOT!). Enjoy. I got this off another blog (cannot remember where). Funny stuff! This is a totally fascinating site, one where you will actually be happy to get lost in (The Information Architect in me is appalled at what I just said). It looks like it took a long time to put together and the effect is fabulous. So go check out Nobody Here. Sick and tired of the World Wide Wait? Wish you could get the Internet all at one go? Click here to download the Internet! I was recently approached by the Straits Times to comment on the current state of Singapore political and satire websites. In the light of my eloquently expressed views, the ST published absolutely nothing of what I said (but they were kind enough to publish an entire link to my site, wow!). Here is a full transcript of that interview. Very powerful stuff this mobile blogging thing. 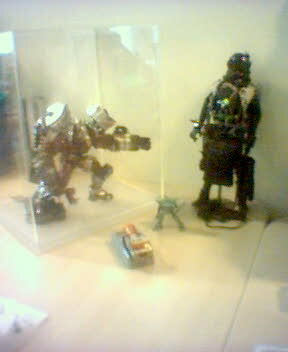 Just to demonstrate the power of moblogging, here is a shot of my toys I just took one minute ago. Oops, picture did not show. Sent again. Here it is. Here is another shot of the epic night. 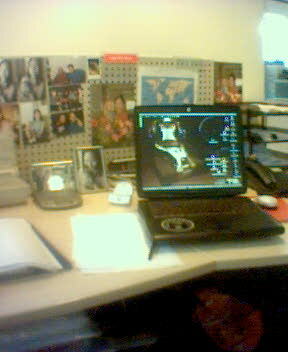 In case you are wondering, this pic was shot and posted on this site with my T610 mobile phone. My first moblog post here! 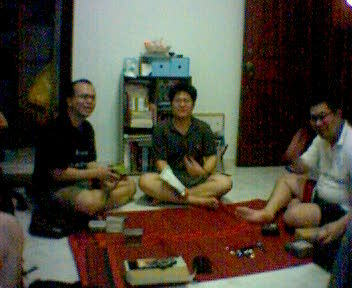 Just a small sampling of my geek friends at a recent late Friday night Lord of the Rings card game session. Great fun was had by all, except for the minor scuffle that broke out over who took whose glass bead tokens. We card gamers can get real possessive of our beads. 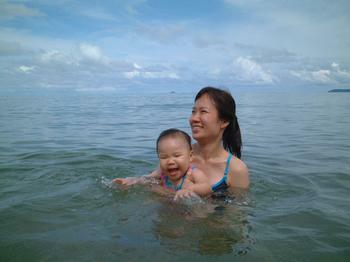 Mommy and Faith at the beach during our Tioman vacation. Boy, did Faithie love the waters. So, mrbrown has a new blog. On TypePad, no less. Solid, man! Stay tuned, more will come.